You have to take the rough with the smooth, and that is exactly what the African tech scene did in October. Along with the usual batch of acquisitions, funding rounds and new launches, there were some notable shutdowns and downsizings that took off some of the shine. The month saw some sizeable acquisitions as parts of the scene continue to move towards consolidation. Pan-African integrated payments firm Interswitch acquired Kenyan company Paynet, with the two companies set to combine their businesses in East Africa. Interswitch said the new East African company will provide an “unrivalled payment infrastructure”, uniting financial institutions on a single network, integrating transaction solutions into businesses, and creating a secure and convenient way to make cross-border transactions. 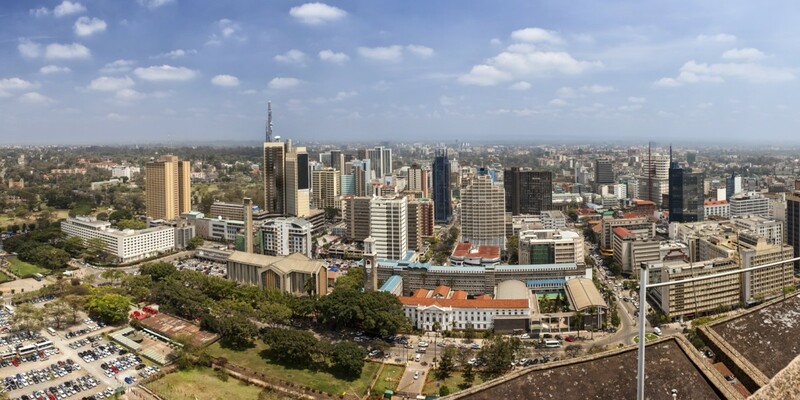 The new network will connect over 100 financial institutions in East and West Africa. Another significant acquisition saw South African ICT solutions and services provider Adapt IT buy CQS Technology Holdings, a provider of niche audit, financial and risk management software services and solutions, in a deal worth $15.5 million. CQS serves a client base of more than 4,000 customers in 30 countries. In Egypt, online food ordering marketplace Hellofood acquired Otlob.com, a similar service that allows users to order food from restaurants in their area. The company processes thousands of orders each day from over 500 restaurants, including McDonalds, Cook Door, Burger King and Pizza Hut. There was bad news, however, from three of Africa’s flagship tech firms. South African social network Mxit announced it is shutting down commercial operations after a significant fall in user numbers in recent years. Launched in 2005, Mxit has close to 100 million registered users globally, and recorded more than 17 million unique app downloads in 2014 alone. Yet it lost ground in recent years, with its monthly active user base falling to 1.2 million in July this year from 7.5 million in 2013. It has now called it a day, and donated its intellectual property and technology assets to mobile-based public benefit organisation The Reach Trust. Bad news too for Nigeria’s main e-commerce firm Jumia, which has reportedly laid off 300 workers in the country, representing around 30 per cent of its Nigerian workforce in Nigeria. There were also layoffs at Nigerian video-on-demand (VoD) service iROKOtv, which is downsizing its Nigerian operations and laying off 130 of its staff in Lagos. The company said the downsizing forms part of wider “departmental adjustments,” with the company taking on a number of London-based staff. Notable challenges, then, for a number of Africa’s more developed tech firms. But no such troubles for those in earlier stages, as funding for African startups continues to grow. Interswitch, mentioned above, has been active, putting $1 million into Nigerian e-commerce solutions provider SlimTrader. Nigerian startups had a particularly good month, with mobile payments company Paga raising $13 million to help it build its agents network and continue to innovate its product, and digital printing startup Printivo closing a six-figure round for expanding its product range, increasing staff numbers, accelerating customer acquisition and scaling the business. It wasn’t just Nigerian companies on the receiving end of cash, however. Rwanda’s “Uber for motorcycle taxis” SafeMotos closed a $131,000 round for further experimentation on its product, while in South Africa funding was obtained by mobile point of sale device manufacturer Nomanini and online wine store Port2Port. $500,000, and Egyptian e-commerce aggregator Yaoota raise $2.7million for expansion across the Middle East and North Africa. It wasn’t all about acquisitions, shutdowns and funding rounds, with the month also seeing a couple of significant new developments in terms of product launches and new firms setting up shop. Kenyan mobile operator Safaricom partnered VOD service Vuclip to offer customers access to premium video content on their mobile phones. Using the service, customers can access up to 100 videos per day. payment for services from their BBM contacts. Available for Android, BlackBerry and iOS devices, the service allows BBM users in Nigeria to be paid via Quickteller in a secure and user-friendly way. There was also significant news from the telecoms world, as it emerged Vietnamese operator Viettel is planning to launch operations in Tanzania under the Halotel brand. The company is in the final phases of the infrastructure build, and will offer voice, data and value-added services. It aims to establish a presence in all 26 provinces of Tanzania.